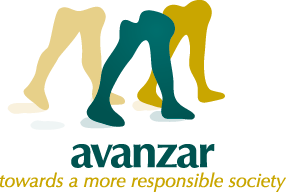 One sunny day in March 2009 I was picked up by the project manager Carmen Carrasco who showed me where I would be working for the next two months and what my role would be in the project Fundacion Avanzar. She introduced me to various team members and mothers including Madre Lourdes, Madre Rita, Florcita and Narcisa whom I would be working with. I was very nervous but at the same time excited to see what it was all about. Margarita, the project founder who I had met back home in Switzerland, had given me some general information and shown me some photos of the place so I had a rough idea of what was expecting me. 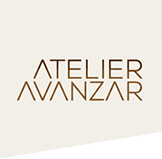 I had the honour to be involved in two different areas of the Fundacion Avanzar. On the one hand I helped out at the "Guarderia Jose Hidalgo" working together with day carer Florcita and others to make sure the children were looked after well. A normal working day for me started at 2pm. It involved primarily giving the children their lunch, then washing and changing them and of course entertaining them until their on average very young and generally single mothers came to pick them up in the early evening. During the first 5 weeks I worked with children aged from approximately three months to two years. The first couple of days meant getting used to each other, the children to me just as much as me to them. 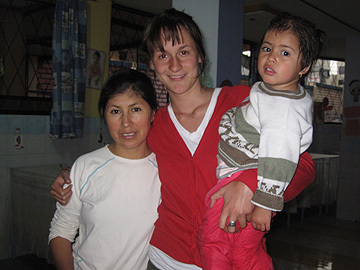 I was thrown into a completely new atmosphere, culture and living standard that shocked me but at the same time inspired me and showed me that I was there for a reason; to help people living in unfortunate conditions though giving them comfort and joy. As the days went by the children got more and more used to me and would start showing excitement when I entered the room or affection whilst I played with them. For the last 2 weeks I changed groups and worked with slightly older children aged between three and four years which was a very different experience. They were of course very interactive and playful. Working with them involved direct communication and a lot of action especially as they constantly hung onto me with curiosity and excitement. With the first group the work I did required more patience whereas the older group required more energy. I enjoyed working with both groups equally much and was very happy to have had a variety of opportunities. The second role I had was my involvement in the then current project which was a cooking course offered to women of all ages. 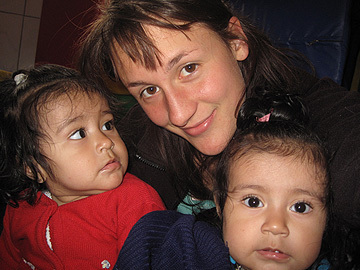 This course took place one afternoon a week in the "Hogar de la madre y el nino". A group of about 20 women assembled every Wednesday with an expression of anticipation on their faces, wondering what the students of the "Universidad de la Gastronomia" were going to teach them. They would then sit in a semi-circle facing the students ready with pen and paper and as soon as the course started they would be fully concentrated making sure not to miss any bit of information they were given. My role was to help out wherever I could to prepare for the course, to make sure everything went according to plan and I also had the pleasure to observe and experience the happenings. 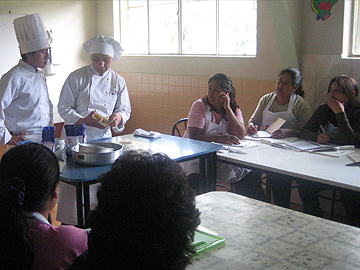 I even learnt how to prepare some Ecuadorian recipes. Before the course started, Carmen gave me the women's application forms to look at and evaluate. Just reading through those papers left a great impression on me. Motivations for doing the course included such as 'to make my son proud of me' or 'to find a job and earn enough money to look after my family' or even just the words 'to stay alive'. Such reasons and aims were remarkable when one thinks that it was merely regarding a cooking course. These comments showed me the reality those women are faced with and how dependent on and also grateful they are for opportunities such as the course to get somewhere in life. Such different perspectives to what we know in our culture. Visitors of the course were between 14 and 70 years old- an immensely wide range although all of them shared the same enthusiasm and interest to learn. Every week I would speak to different women asking them how they liked the course or general questions about their life; how old they were, if they had children and so on. It was fascinating to talk about general topics but with such a different definition of life- for them being mainly a struggle, a fight to survive. 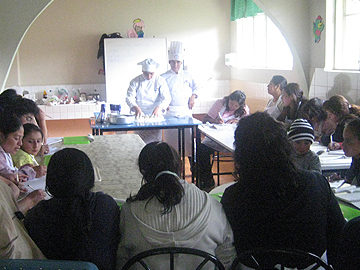 The aim of this cooking course was for the women to use their gained knowledge to find an opportunity of work and to earn the necessary money for themselves and their family. I saw the appreciation and joy these women had every time visited the course, showing to me great success of the project. I will never forget the experiences I had and the acquaintances I made during my time in Cuenca. It was a very fascinating and intense time, something I would recommend every one to do who is curious about other cultures and willing to make a difference. Even though the situation has not been changed because of the time I spent there, my work was proven to be greatly appreciated and it has shown me that every little effort can make a difference even if merely shown through emotions and reactions. I thank especially Margarita and Carmen who arranged this opportunity for me and wish all the best for the Fundacion in the near future.